The World Trend of Young Wine Presentation organized by Light Communications PR agency after arriving in Zagreb: the presentation of 6's young wines, named Mlado Međimurje, from the Cellars of Cmrečnjak, Dvanajščak-Kozol, Kocijan, Kunčić, Preiner and Štampar was led by famous Sommelier and Decanter's Judge Siniša Lasan the help of enologist Miodrag Hruškara. For some time, wine is increasingly sought after, and thanks to the extraordinary efforts of the winemakers themselves and the tourist communities of Međimurje, as a wine region, it increasingly appears on the wine map. Apart from brandishing an autochthonous mix of tobacco varieties - specially designed and unique bottles - Lasan emphasized the extraordinary quality of the Međimurje sauvignon, which he says is one of the best in the world. 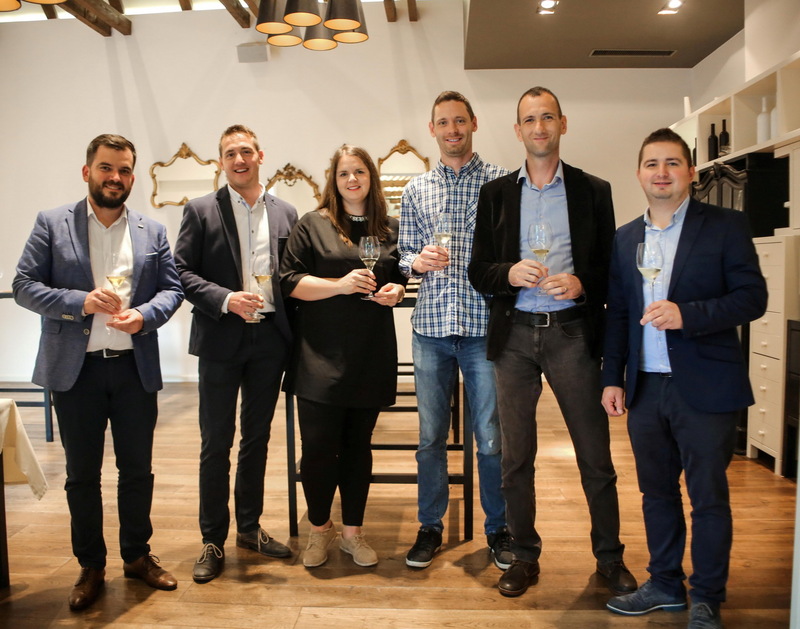 Project Mlado Međimurje is just another proof of the incredible potential of Međimurje as a wine region which is the first in Croatia to be the chosen young wine-making wine, which the famous wines in the region around the world - especially in France and Austria - have been doing for years. Young wines are fresh, as a rule, lower concentrations of sulfur and lower alcohols, and due to the specific vineyard position of wine intermingleur is characterized by accentuated minerality. These wines are sealed in bottles under controlled threaded conditions STELVIN a plug that guarantees freshness and purity. The second generation of renowned Međimurian wine family presented their selected young wine, fluttering, drinking and refreshing and revealing the enormous potential of rice, chardonnay, green silhouette, white pinot, yellow mule and of course sauvignon, which now only two or three months after the harvest represent Pleasure for the palate. David Stampar he introduced Silvanac green, light and dry wine, dry and again fruity. Silvanac green he also chose Nenad Preiner: very expressed minerality, pleasant alcohols, dry and well structured. Marko Cmrečnjak she chose for her young favorite Rizvanac, juniper and riesling: a soft, light dry wine that is my personal favorite. Chardonnay Petra Kocijana with the smell of banana there is still one well-structured dry wine and will most likely be more appealing to viniculture because of its odorous notes. The only winery on this show, Tea Dvanajščak She presented it dry Dvanajščak-Kozol cuvée white pinot i Sauvignon with natruhama of green paprika that invigorate freshness on the nose but also on the palate. For the end, cuvée Denisa Kunčića od a yellow man, Chardonnay i Sauvignon with most of the sugar, the sparkling and semi-sweet wine has brought us into a preblanding mood and announced new pleasurable socializing with interim wines.